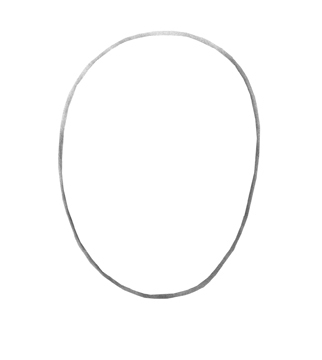 This is a continuation of last month’s art tip developing a portrait from an egg shape. 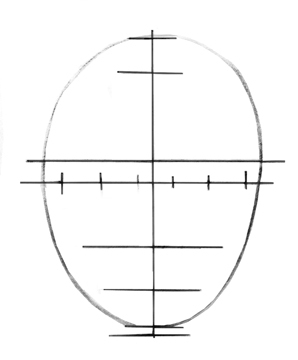 Where we learned how to divide the oval based on eye spaces for a generic placement of the features. 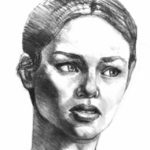 In this tip I will execute an actual portrait using the method. Draw in an oval. Be careful to measure the proportion of how tall the head is to how wide using a pencil held in your hand and extended at arms length use the tip of the pencil and your thumb to take proportional measurements. I forgot to do this and instead jumped right into the drawing and I had to go back and do some major revisions to my drawing that could have been avoided if I had taken more care. Try to get as close as possible to that person’s unique proportions. Use your pencil and thumb to gauge accurate proportional measurements. After measuring the head I moved the chin line a little lower. 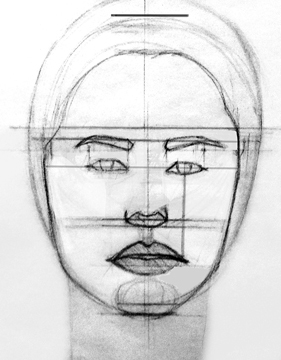 I also reestablished the width of the head after observing the width of her head was about the same as the length from the bottom of her chin to her eyebrow. I then marked the eyebrow line. 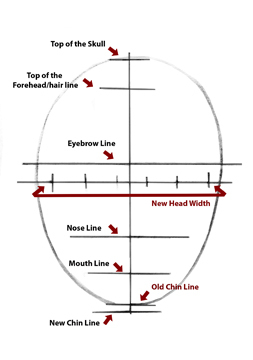 I then measured and marked where the forehead ended. The distance from brow to forehead was the same as from the chin to nose. 6. Compare brow to hairline against nose to chin. Mark off all the relationships you note while comparing these areas. I begin to draw in the basic eyes, nose, mouth and eyebrows ( I will do detailed art tips on drawing the individual features later.) 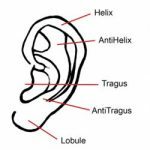 These basic shapes allow me to observe the basic relationships between the features and allows me to see what I may have missed and what needs to change. After all the remeasuring I saw a couple of needed changes. I noticed I made the head too long, her head needed to be a bit wider. The eyes were slightly too close together especially after widening the head so I moved the eyes(this is why I kept the features simple so changes would be much easier to make.) I redrew the nose, changed the mouth slightly, and redefined the shape of the hair as it defines the forehead. Below shows me in the process of making the changes I have listed. After getting everything redrawn I noticed I still had the face too long so I modified the width by about a 1/16th of an inch. I widened the space between the eyes by about 1/32nd of an inch. 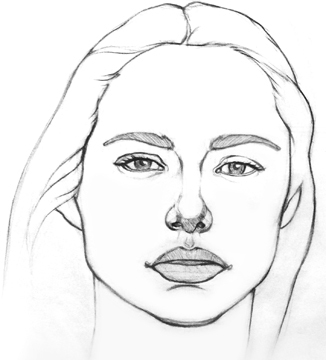 I redrew the lips widening them about 1/16th of an inch and finally widened the nose just under 1/8th of an inch. These little changes really helped. Look at the final sketch below. If I was to make this into a finished drawing there are still some modifications that need to be done. 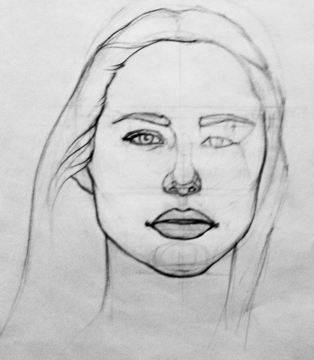 First I would redraw the eyes a little they are not symmetrical enough, same with the nose it too needs to be more symmetrical, and the lips again need to be more symmetrical. 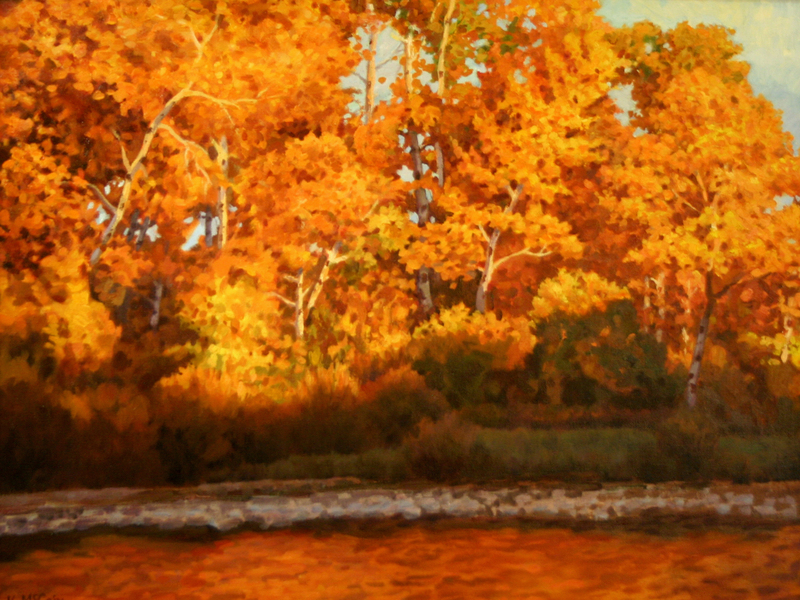 The features as they are were actually the way I drew them, but there are times you want to play those variances down and this is certainly one of those times. These modifications would strengthen the drawing’s consistency.